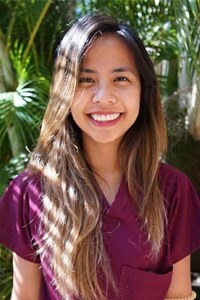 Desiree was born and raised in Makawao, Maui and began her dental career over 20 years ago as a certified dental assistant. Her current role is front office manager. 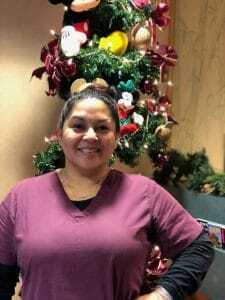 She enjoys helping and interacting with patients. Our patients and staff enjoy her bubbly, fun personality and cheery smile. Desiree loves to travel, dine out, going to the movies, shopping and spending time with her family. She values quality time with her husband Mikie and her two children Jada and Jairen. Aileen directs Dr. D daily in the clinic; orders supplies, schedules lab work-aligners, retainers, etc., gets DrD’s cases ready for Diagnosis and Treatment Plan for the following week; supervises other assistants, coordinates clinical procedures with the front office, etc. 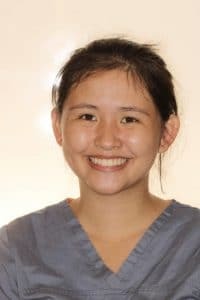 She was born and raised on Maui and is a graduate of Baldwin High School, as well as the dental assisting program at UH, Maui College in 2007. 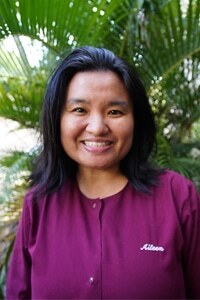 Aileen has been in the field of orthodontics for the past sixteen years. She feels that the best part of being an assistant is sharing the process of creating beautiful smiles for our wonderful patients. Other than work, she enjoys spending family time with her son and relaxing at home. She’s known in the office for her kind, patient manner in managing all types of patient/parent concerns and questions about their treatment. Light began working with us in June of 2015. 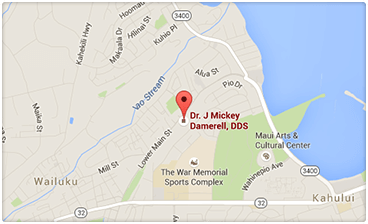 She had just completed her degree in dental assisting at Maui College, UH. She completed her orthodontic treatment with us in November 2015. She does missionary work and loves traveling. She is now pursuing a degree in Kinesiology and Sports Medicine in University of Hawaii-Hilo. She is known for her happy, friendly demeanor and willingness to take on any task in the office.